The 2018 holiday shopping season has started as shoppers are planning their Christmas lists and patiently anticipating Black Friday and Cyber Monday sale announcements. November through December is historically known as the busiest shopping months of the year in America as consumers stock up on heavily discounted items and purchase gifts for the holidays. It’s a great time for international shoppers to gain extra savings when shopping overseas. 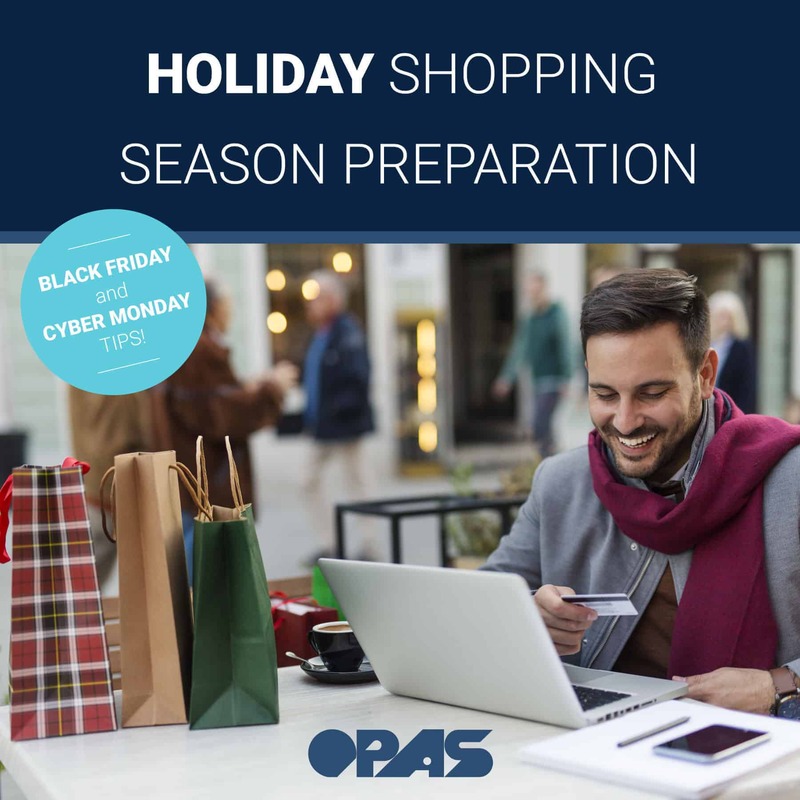 As we inch closer to Black Friday (November 23rd) and Cyber Monday (November 26th) we wanted to create this blog post to prepare you for the upcoming holiday shopping season. We’ll offer some tips for organizing your shopping plans and navigating to the best deals of the season. The best tip to keep from getting overwhelmed by holiday shopping season is to make a PLAN going into it. Doing this first tip will save you a lot of time and headaches but could also potentially save you a great deal of money as well. Know how much you want to spend for the season and write it down. Having this number in place will help you with the rest of the planning process and gives you something to work with when shopping. If you don’t want to be limited to sticking to a cap amount at least set a price range that you want to stay within. Setting a budget will give you some flexibility while ensuring you don’t overspend. Make a list of what you want to purchase and create it early. After you have your budget set, you can start deciding what you want to buy. You can choose to map it out by paper or electronically. Some people find it most comfortable to start a spreadsheet so that they can track the products, sale prices/dates, coupon codes, links to purchase and organize everything with their budget. This system works well because users can easily print it if needed, view on mobile, or edit on the go (depending on the program used). If you go into the holiday shopping season with a plan, it’ll be super easy to do comparison research for the best deals. Comparing the same product across multiple stores will make sure that you save the most that you can. 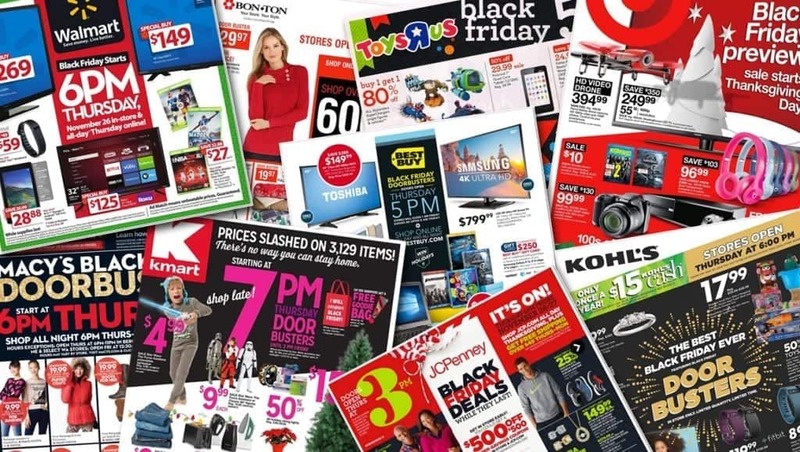 Many big US retailers release their Black Friday advertisements 3-4 weeks before the event to provide customers with ample time to plan out their shopping list. Download the ads or visit their websites early so that you know what products you’re looking to buy. Almost all major US retailers have email marketing strategies in place which means exclusive content or deals for subscribers. Around this time of the year signing up for newsletters at your favorite stores can give you first access to Black Friday ads and additional coupon codes exclusive to email subscribers. Over the years, signing up to receive emails has been a savvy way to capture extra savings. Sign-up for your favorites early on so you don’t miss any major coupons or special offers. 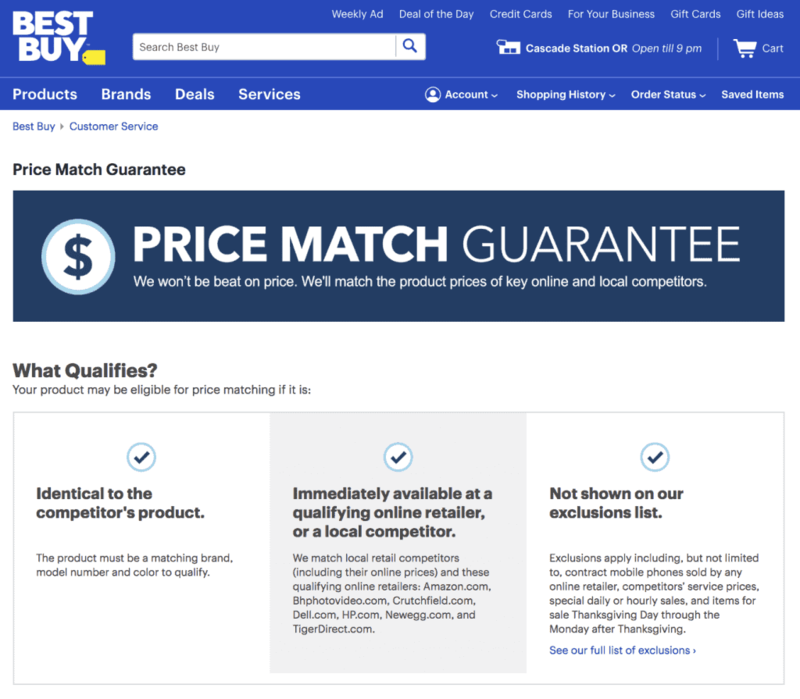 Many US stores now offer price matching. Keep a lookout for which ones do provide this benefit so that you can try to order from the same store while still taking advantage of deals from other stores. If you can find everything you need from one place that will price match all your items it works out much better during the shipping process. Avoid the chaos of shopping in brick and mortar stores by sticking to online platforms. One of the best perks in today’s internet age is the ability to buy in the comfort of your own home. Instead of waiting in long lines and fighting over the last item on the shelf you can focus on finding the best prices. Something important to remember when shopping online during the busiest shopping season in America is to make sure you have a stable internet connection before you start. Sometimes retailer websites can crash due to traffic overload but you can at least be careful on your end by making sure your connection doesn’t glitch. You wouldn’t want to get the last of an item in your shopping cart to have your WIFI connection suddenly drop and lose out on the deal entirely. Products online, especially on Cyber Monday do run out of stock so it’s better to shop prepared. Some e-commerce websites make you log in to check out. Try saving a little bit of time by registering before-hand so when products are released you can simply log into your account and purchase right away. Don’t be one of those people that order gifts or items last minute and don’t end up receiving your package on time. Shipping ETA’s can change during this season so make sure to check expected shipping schedules and calendars from both the purchasing store and selected carrier to plan accordingly. An added benefit that most US retailers offer to entice customers during this time of the year is free shipping, but this typically means it’s free domestically in the US. If you’re a shopper from overseas an excellent way to avoid any international shipping fees that come up is to send your items to a package forwarding company like OPAS. This service allows you to take advantage of free shipping deals offered during Black Friday. OPAS can also help you save up to 70% by consolidating the items that you want to be forwarded. If you order multiple packages from different stores, we can repack all of your purchases into one box which will lower your shipping costs and make it easier to receive. Learn more about the services OPAS offers here. Ready to sign-up now? Click here. Do you feel more prepared for the nearing holiday shopping season? Feel free to leave a comment to let us know if you found these shopping tips helpful. We especially want to hear if you developed your own shopping plan and how it worked for you!